Inspiration can come from the most unlikely of sources. This is a sentiment which rings true for Matt Collins. After returning from teaching children in Japan, Matt found himself working 9-5 in a marketing job with no real prospects for career progression. The inner-entrepreneur in Matt was searching for something to re-ignite that spark, to give him the opportunity to create something he was passionate about. The spark Matt needed came in the form of his 4-year-old nephew. Matt has a black belt in Tae Kwon-do, Kickboxing and Judo and so his nephew asked if he would consider teaching him and a small group of friends, martial arts. Matt was initially reluctant to teach martial arts to children because he felt it would not have the technical or intensity level that he enjoyed in his training. However, due to family loyalty, he eventually agreed to his nephew’s request and found the teaching the children incredibly rewarding. He loved the challenge of teaching the fundamental kickboxing skills through games and activities without exposing his students to violence or potential dangerous techniques. The class he started for his nephew turned out to be extremely fruitful. As word of mouth spread, Matt received interest from numerous parents asking him to set up a class in their area. It was then that Matt realised he had an opportunity to do something he loved and create a new business. Matt’s desire and passion for martial arts inspired him to create The Samurai Fitness Group. The spontaneity of children is infectious and their honesty at times provided Matt with the feedback needed to make The Samurai Fitness Group a success. Children will not think twice about telling you if they are not enjoying an activity and it’s this upfront honesty that Matt loves. This level of insight has enabled Matt and The Samurai Fitness Group to create fun and rewarding classes. The success of the group has been as a result of their child-focused tuition approach. For The Samurai Fitness Group, the welfare, progression and happiness of the children who take part in their classes are their number one priority. Regardless of how much the business grows, these core values will always remain the same. Profits and income whilst important will never be regarded higher than prioritising a student’s progression and ensuring that their teaching is of the highest standard. The successful growth and expansion of The Samurai Fitness Group saw Matt faced with a dilemma. The demand for new classes resulted in Matt looking to take on employees and recruit new instructors. With no employment law or contract knowledge, Matt knew he would need support on key areas of the recruitment process, from writing up contracts of employment to defining holiday pay. The increased demand for new classes and expanding his workforce led to Matt working 7 days a week, leaving very little time to relax. The company had become all-encompassing and he needed support to meet the demand for new classes whilst retaining the same quality of tuition that his students and their parents had come to expect. Searching for a solution to his HR concerns, Matt turned to a local new business start-up agency. Describing the demands he was experiencing and the support he needed there was only one solution they could provide, Peninsula. Matt had a face-to-face meeting with a local Peninsula consultant who guided him through the areas he needed assistance. They provided Matt with up-to-date advice whilst relieving him of the burden of HR and employment law. Now, three years later Matt and The Samurai Fitness Group employ six instructors and carry out over 40 classes a week. The confidence and freedom Peninsula instilled within Matt has allowed his business to grow and become even more successful. 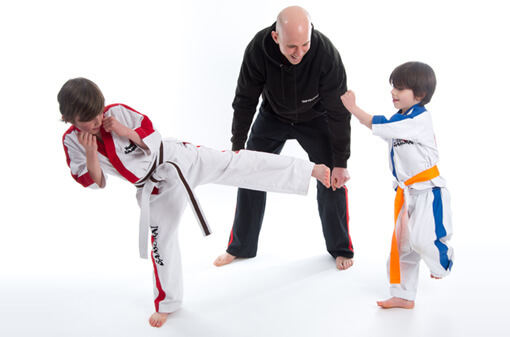 If you’re looking to introduce your child to the benefits of keeping fit, growing their confidence and developing self-protection skills within disciplined but fun classes, check out The Samurai Fitness Group in High Wycombe. The Samurai Fitness Group teaches martial arts to children, helping them progress both technically and as people.